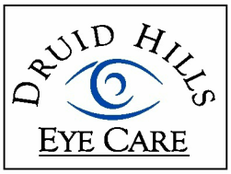 Have An Eye Condition You Are Concerned About? Schedule an appointment with one of our highly trained optometrists to address your eye health needs. We have weekday appointments for eye emergencies and eye conditions. Our extended office hours are Monday through Thursday, 7 AM – 7 PM, and Friday from 8 AM to 5:30 PM. When you schedule an appointment we’ll verify your insurance benefits. After your visit, we’ll submit a claim to your insurance company on your behalf. If a medication is prescribed, our doctors will electronically transmit your prescription thru e-prescribe services to your pharmacy. Diabetic patients should have an eye exam at least once per year. Diabetes can affect your eyes in a variety of ways. A change in the eyeglass prescription, double vision, a loss of vision and/or bleeding inside of the eye (diabetic retinopathy). Treating diabetic eye conditions early may prevent a permanent loss of vision. Our doctors communicate the findings of your diabetic eye exam with your primary care physician / endocrinologist to help better manage your diabetic condition. Ocular surface disease (OSD) results from inadequate production of tears. OSD is a complex disease of eyelid tear glands causing instability of the tear film and damage to the surface of the eye. Symptoms include red burning eyes, discomfort, and blurry vision. The goal of treating OSD is to restore normal tear film function, eliminating damage to the eye’s surface therefore reducing it’s symptoms. One of the main causes today of OSD is the increased use of digital devices such as cell phones, tablets and computers. These devices results in tear film instability due to reduced blinking. Medical conditions such as arthritis, lupus, thyroid disease and Sjögren’s syndrome can cause OSD. Our doctors have many ways to treat OSD depending on your specific findings. Treatment can include a combination of options that will be customized for your specific dry eye symptoms. A cataract is a clouding of the eye’s natural lens causing a reduction in the clarity of vision. Cataracts occur gradually as we age. Vision changes due to early cataracts often cause a change in eyeglass prescription. Updating the eyeglass prescription may restore some of that loss of vision. When clarity of vision is lost beyond the point that prescription changes improve vision, removing the cataract is recommended. We work with several excellent surgeons while managing your cataract surgery results pre- and post-operatively. Glaucoma is an eye related disorder that causes damage to the nerves that carry information from the eye to the brain. Most cases of glaucoma have few symptoms. Glaucoma is the second leading cause of blindness in the U.S. with half of Americans with glaucoma unaware that they even have it. A yearly eye exam is the best insurance to protect from losing sight due to glaucoma. Macular degeneration is an age-related eye condition in which the part of the eye responsible for central vision, the macula, begins to deteriorate. This causes a loss of clarity and/or distortion of the central vision. There are two types of macular degeneration known as the dry type and the wet type with the dry type progressing more slowly. The wet type can cause bleeding inside the eye which can lead to severe vision loss, but if detected early, can be minimized with intraocular injections.